Red Joe™ is 100% Organic South African Red Bush (Rooibos), A High Concentrate, Water-Soluble Powder. Our Mission is to provide a simple solution to achieving better health and living a high quality, happier life through proper hydration and its many benefits. We go beyond just selling a product to helping people realize that what they put in their bodies impacts what they get out of it. We believe in the mind, body, heart connection; and strive to provide products and education that fit that belief. 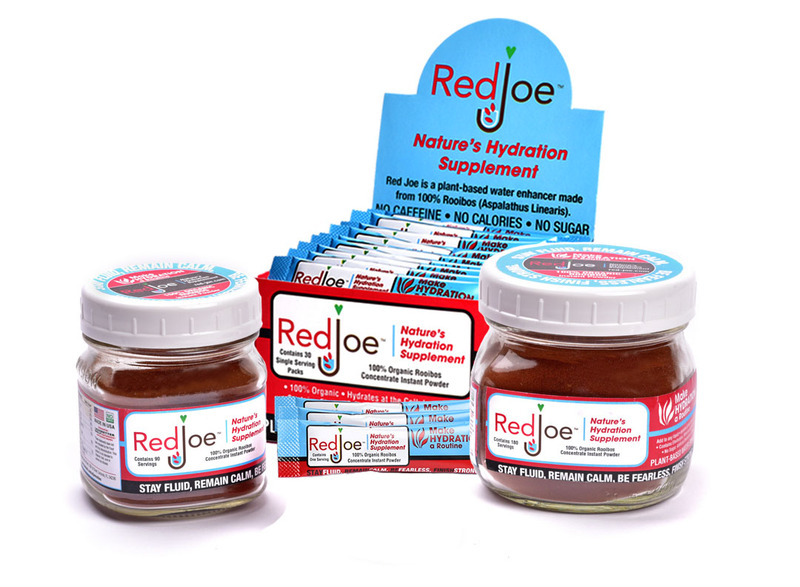 Receive monthly hydration tips, Red Joe recipes, news, product updates and special discounts.